Mark Leibovich’s collection of profiles, Citizens of the Green Room, reviewed. Mark Leibovich’s profiles lay bare a national political process that systematically dehumanizes all its participants. Mark Leibovich profiles are like flaming Dr Pepper shots. They’re great—way better than you might have expected, in fact—but you still shouldn’t go through five of them back to back. Too many in a row, and you’re guaranteed despair. There are two types of despair you might face after reading the New York Times Magazine correspondent’s latest airport-bookstore-friendly tome, Citizens of the Green Room: Profiles in Courage and Self-Delusion. There’s the despair that comes from living in a world run by the people he describes. And there’s the despair that comes from living in their same metropolitan area. If you live in D.C. and, after finishing this entertaining, depressing collection, don’t feel both types (and then think about jumping off the Key Bridge), you’re not a real human being. The book’s profiles, written between 2002 and 2013, feature national political figures (Chris Christie), media figures (Mike Allen), and politico-media figures (Glenn Beck). (There’s also, for some reason, a write-up on the Economist’s “The World in 2013” issue). And it has a lot of value just as an example of how to make political profiles work. Not all of Leibovich’s pieces are newsy or groundbreaking, but they do a good job of showing what a smart writer can do with material that might not sound particularly scintillating at first glance. For instance, you might not think a write-up on the creator of a prominent morning email newsletter would be riveting. In Leibovich’s hands, though, it is. In his profile of Mike Allen, he lays out how the bespectacled Politico writer (“A hyperactive former Eagle Scout”) built a morning-newsletter empire. In Leibovich’s estimation, Allen isn’t just a journalist; he’s a magical creature. Allen “has a tendency to suddenly vanish,” is “obsessively private,” and apparently never sleeps. No one knows where he lives. And every morning, he claims the rapt, solemn attention of D.C.’s “influentials.” The piece is mesmerizing. In an age of clickbait and sound bites, I should be glad that there are writers working in the Theodore White mode, covering campaigns and lawmaking as epic, complicated narratives that could hold people’s imaginations and keep them up late reading. Leibovich’s thoughtful 25-page profile of Glenn Beck should come as a welcome respite to Upworthy-addled brains. So on the one hand, I don’t want to be too nitpicky here. People still write about campaigns in paragraphs! That said, reading Citizens of the Green Room came to feel like swallowing a bowling ball. For starters, one problem is that Leibovich is very, very good at making clear just how unhappy and awful the subjects of his profiles truly are. For instance: One profile, “How John McCain Turned His Clichés Into Meaning,” lives up its title immediately, with its subject gleefully performing outrage over Harry Reid. Another, from 2013, details future political candidate Ted Kennedy Jr. fatuously explaining that he’s “been cultivating all sorts of friendships and relationships with people who can be helpful.” Terry McAuliffe, the current governor of my home state, comes off as both highly calculating (see the perfectly choreographed opening of his eco-friendly car company) and completely insane (“You’re never going to find me not upbeat”). Chris Christie, who could theoretically be president someday, is a monomaniac. You may have guessed that, but it still hurts a bit to read about how the governor spent most of his time at the 2012 Republican National Convention talking about himself instead of the Republican nominee. Chris Matthews, Mike Allen, and Glenn Beck—the book’s Holy Trinity of journalism geniuses—are all presented as neurotic messes. The bleakness never relents. So the piece lays out a situation that’s totally absurd, and also quietly ugly. Essentially, it’s about the relationship trafficking that plays an enormous role in deciding who gets to be president. (John Kerry doesn’t actually care about Lou D’Allesandro’s birthday.) The problem with this isn’t that it’s shocking; it’s that it’s become totally normal. Over and over and over through this book, you see the near-impossibility of any two human beings who work in national politics having anything close to an authentic, honest interaction. Every relationship is a transaction. The book presents a portrait of a national political process that systematically dehumanizes all its participants. That it’s an accurate portrait just makes it worse. The book reaches its miserable nadir in an essay called “Feel the Loathing on the Campaign Trail,” which details the author’s quest for joy as he tails presidential candidates. Leibovich describes his “anger at being a small cog in a giant inanity machine” and says he soldiers on in his chosen gig because he sees that “the stakes are high.” Then he says the 2012 presidential race feels like “the most joyless” of his lifetime. The city’s vices obviously predate Mark Leibovich, and they’d probably be just as bad (or maybe a little better, or maybe a little worse) without him being around to cover them. In other words, just because you’re not Wendell Berry doesn’t mean you’re Terry McAuliffe. But the normal journalists and Hill staffers and think tank researchers who do humble, unsexy work and live balanced, healthy, sane lives don’t make for good New York Times profile subjects. 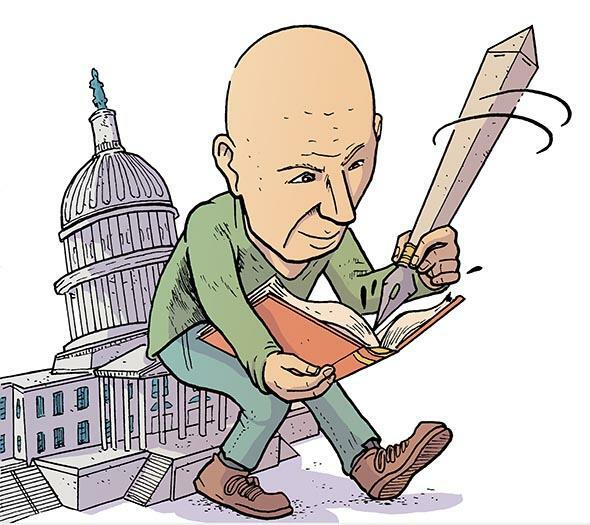 And so Leibovich’s profiles, read en masse, lay bare Washington’s formative paradox: You can’t fix D.C. unless you go there, and you can’t do well there without becoming everything that’s broken about it. There’s value in someone saying this. But there’s also the grim weight of hopelessness, and Leibovich never really tunnels out. After all, it’s tricky to seriously criticize the Green Room’s denizens when you are one. And how can you go after #thistown when #thistown has been so good to you? 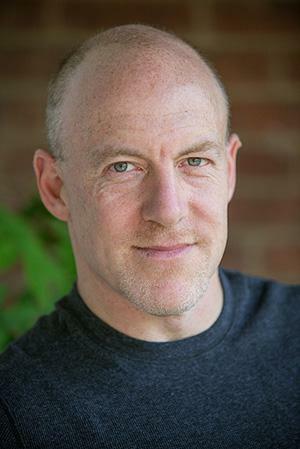 Citizens of the Green Room: Profiles in Courage and Self-Delusion by Mark Leibovich. Blue Rider Press.